Great & Little Tew slipped to their second defeat of the Home Counties Premier Cricket League campaign. 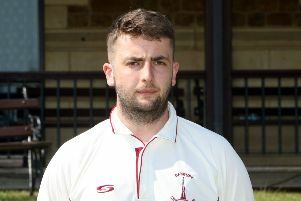 Harry Smith’s side lost by five wickets against Chesham in Saturday’s division two fixture at Ledwell Road where Matthew Rance completed an unbeaten century. The defeat saw Tew slip down to third as Chesham went above them in the table. Having elected to bat, Smith and Robbie Catling gave Tew a solid start, putting on 74 runs for the opening wicket. Smith was trapped lbw by Harvind Dhillon for 27 runs off 41 balls which included four fours. Tim Wyatt joined Catling in the middle and the pair put on another 23 runs for the second wicket. Wyatt was trapped lbw by Jason Rance for a quick-fire 16 runs off 13 balls, all boundaries. Matthew Rance then trapped Catling lbw for 59 runs off 70 balls which included nine fours as Tew reached 124-3. The middle order scored well as Lloyd Brock 37, Curtly Slatter 18 and Joe White 17 all produced good knocks. But the lower order could not make any significant contributions as Tew were dismissed for 198 runs in the 54th over. Tew made the early breakthrough in reply when Matthew Warner was trapped lbw by Lawrence Brock but Matthew Rance then took centre stage for Chesham. The opener put on 85 runs for the second wicket with Mark Eteen who was caught by Lawrence Brock off Ian Bryan for 28. Tew picked up another three wickets, those of Jason Rance who was caught by Joe White	off Joe Thomas for 14, Robin Pritchard who was caught by Smith off White for 11 and Andy Goddard who was caught by Lloyd Brock off Robbie Shurmer for 14. But Matthew Rance was not to be removed and he remained at the crease, guiding Chesham home in the 54th over with Henry Moore 17no. Rance finished unbeaten on 109 runs off 160 balls which included 15 fours.